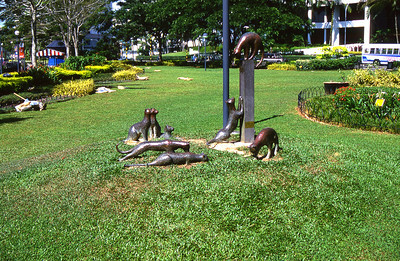 Cat statues at Kuching City, Sarawak, Malaysia. 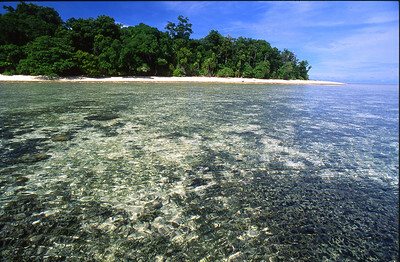 Our purpose in Borneo was Underwater photography. 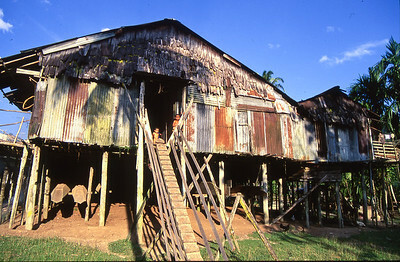 But as a side adventure, decided to visit and stay with an indigenous tribe in the interior jungle called the Iban people. After traveling many hours by van we came to Ai lake. 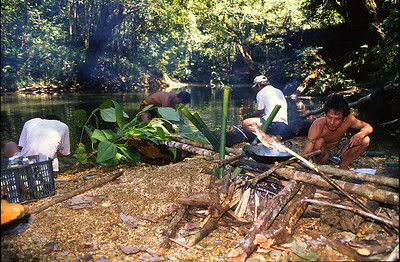 There we were greeted by several Iban tribesmen who by boat began our jouney to there village. 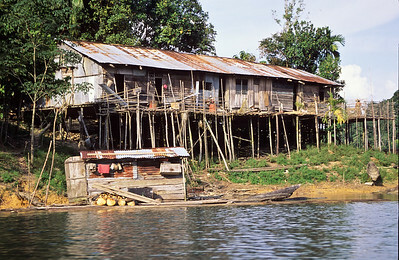 As we traveled along the lake shore we say several community structures called long houses. 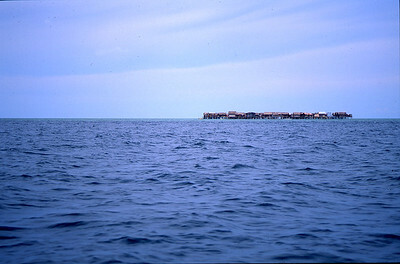 Once across Batang Ai Lake, we entered the Batang Ai river. 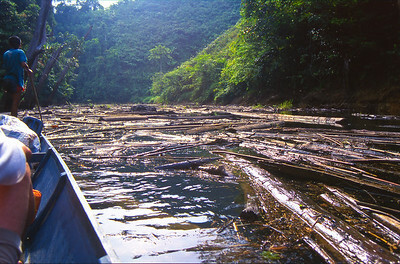 An impossible log jam chocked the river for about two hundred yards, forcing the boatman to pole his way through. We arrived at the Village in early afternoon. 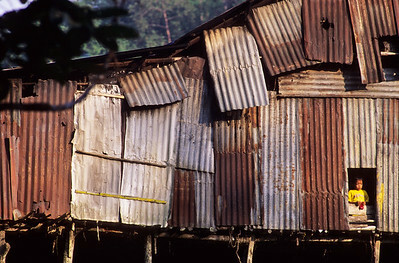 This long house is partitioned into a kitchen, community center and many small rooms for the individual families. In years past, this tribe and neighboring tribes practiced head hunting. At night the stair entrance was pulled in for protection. Inside the long house, a Iban lady threshes pepper with her feet. 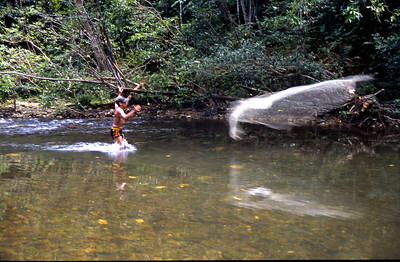 Batang Ri river, Sarawak, Malaysia. 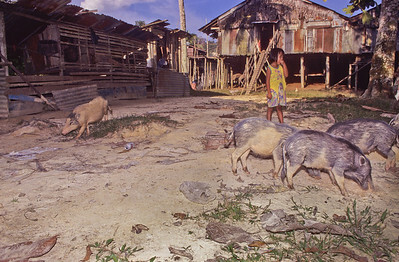 The tribe subsided on pork, vegetables and fruits picked from their garden and from the jungle. Each meal we had was excellent. We stayed here three days and two nights. 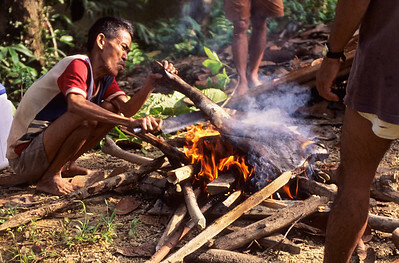 Iban man cooking a wild pig, which he killed in the jungle. 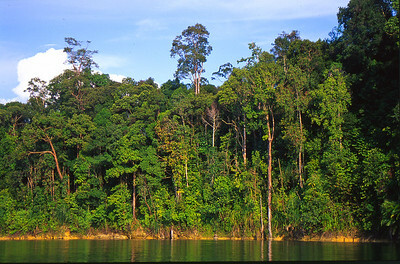 Batang Ri river, Sarawak, Malaysia. 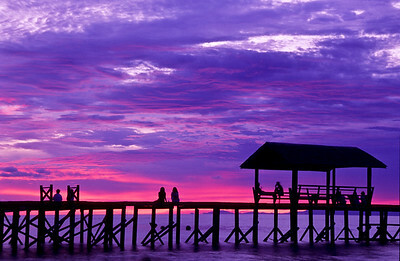 We have journied from Kuching to the east side of Bornio. Were in a power boad on the Celebes sea, pounding our way to sipadan island. Along the way we pass this fishing village. 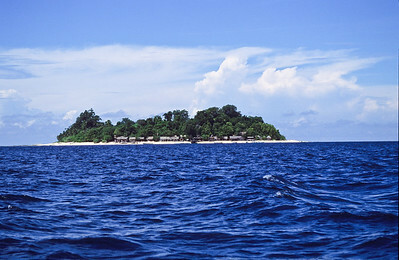 It's build on a shallow reef and with no land for many miles. I wondered, how to they get fresh water? Are they safe during a typhoon?